Test Valley Borough Council’s Environmental Service team are investigating a large car fire that took place yesterday evening. Officers of the council are investigating and commencing the clear up of the debris following the fire. It’s unclear if this was accidental or on purpose. 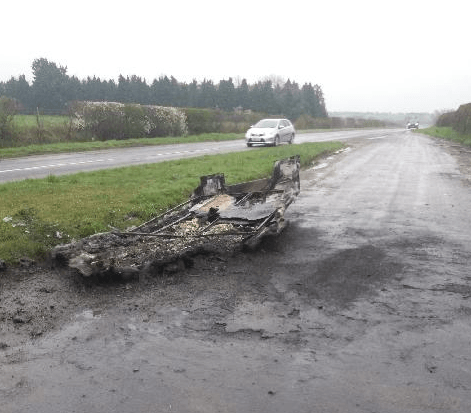 The debris was found along the B3084 in Broughton, Stockbridge. and was reported by the Environmental service. Did you witness it taking place or do you have any other information? Please contact the Environmental Service on 01264 368000 or 01794 527700. All calls will be treated in the strictest of confidence. Thank you.